ALBANY, New York, January 3, 2013 (ENS) – Inventors and scientists are getting $15 million worth of help from the State of New York to turn their high-tech, clean-energy ideas into successful businesses. The New York State Energy Research and Development Authority, NYSERDA, will invest $5 million in seed money at each of three new Proof-of-Concept Centers at Columbia University, the Polytechnic Institute of New York University and High Tech Rochester. “These centers will take innovation to the next stage, by connecting inventors and scientists with business mentors and potential investors,” said NYSERDA President and CEO Francis J. Murray Jr., announcing the awards today. The three institutions won the awards through a competitive proposal process. The $15 million will be disbursed over a five-year period. The centers are required to contribute some funding of their own and are expected to operate independently after NYSERDA funding ends. The Proof-of-Concept Centers will link business experts and early-stage investors with scientists making new discoveries. The new centers will act as idea incubators to fill a gap between the maturing of an idea in a research environment and the creation of a business. “These centers will strengthen New York’s already robust clean technology sector and help create new public-private partnerships between our scientific research institutions and business community,” said Governor Andrew Cuomo last May, announcing the $15 million investment and competitive proposal process. On Christmas Eve, Governor Cuomo announced that $250 million is available for a broad range of renewable energy generation projects to upgrade and modernize New York’s aging energy infrastructure with wind, hydroelectric, solar, biomass and other clean-energy resources. NYSERDA also will administer funding for these renewable projects through the state’s Renewable Portfolio Standard. The RPS funding will be awarded competitively; recipients will be announced by summer 2013. The new Proof-of-Concept centers are part of the governor’s overall plan to reduce the state’s carbon footprint while building the economy. Two of the new centers will be located in New York City and the third will be situated in Rochester, New York. 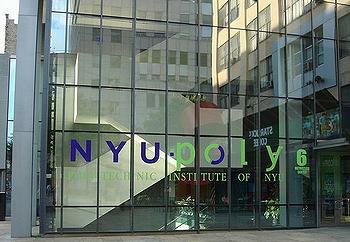 In New York City, Columbia University will open the Downstate Regional Energy Technology Accelerator. The organization is partnering with Brookhaven National Laboratory, Stony Brook University and Cornell University’s NYC Tech, a new campus located in New York City. “With this grant NYSERDA is making a major investment in the people and ideas that can address one of the most fundamental long-term challenges facing our nation and our world, while continuing to foster the community of entrepreneurs that can create jobs in our city and our state,” said Bollinger. Also in New York City, in the borough of Brooklyn, the Polytechnic Institute of New York University will partner with the City University of New York to create the New York City Clean Economy Center for Proof-of-Concept. The organization, called PowerBridge, and the NYU Center for Urban Science and Progress will partner in an applied science research institute that focuses on challenges specific to an urban environment. “The PowerBridge Proof-of-Concept center is an important element in creating and fostering transformational entrepreneurship,” said Katepalli Sreenivasan, NYU-Poly’s Provost and NYU’s Senior Vice Provost. In Rochester, a city in upstate New York, the nonprofit venture development organization High Tech Rochester Inc. will open the NYSERDA Proof-of-Concept Center to serve Western and Central New York. High Tech Rochester will work with the University of Rochester, Rochester Institute of Technology, SUNY Research Foundation, Alfred University, Cornell University, Clarkson University and the University at Buffalo, as well as multiple industry and investor partners, said HTR President James Senall. Founded in 1975, NYSERDA describes itself as a “public benefit corporation” offering information and analysis, innovative programs, technical expertise, and funding to help New Yorkers increase energy efficiency, save money, use renewable energy, and reduce their reliance on fossil fuels. The Proof-of-Concept Centers dovetail with support NYSERDA provides for other clean energy entrepreneurship initiatives, including an incubator program, which funds six centers around the state supporting dozens of new cleantech start-ups. These sites have worked with 94 clients in the past three years, helping the start-ups raise a total of $74 million in private funds while creating 48 new products and 193 new jobs. NYSERDA also supports an Entrepreneur-in-Residence program, which provides dozens of expert entrepreneurs to mentor leaders of early-stage cleantech businesses. The NYSERDA Clean Tech Execs program seeks to educate experienced entrepreneurs about business opportunities available in the clean energy sector; and Green Capital Empire, a NYSERDA-sponsored initiative aims to attract early-stage capital to clean energy businesses in New York.